I normally do a post here to start off the week, but somehow it's Wednesday already! Hope your week is going as well as mine is! 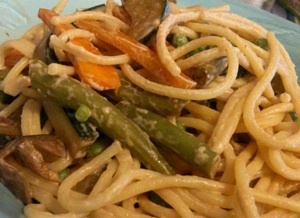 On Monday I shared a delicious Meatless Monday recipe for Creamy Summer Spaghetti. This is such a delicious and easy recipe, and you can use vegetables from your garden, or the little ends of veggies left in your fridge - so it is economical as well as yummy! Tuesday is the wonderful Hearth and Soul Blog Hop for food from the hearth to feed your soul. There is still time to join in if you click here! 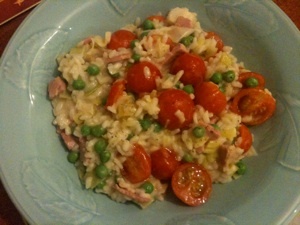 I shared my recipe for Leek and Ham Risotto with Cherry Tomatoes with the hop this week. 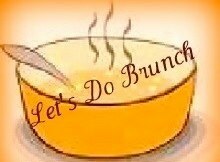 Wednesday is Let's Do Brunch, the linky for your favourite breakfast, lunch and brunch recipes, and I would love it if you would join in! Later this week on The 21st Century Housewife there will be an article about the Royal Visit to Canada, What I Wore Wednesday, the fun foodie blog hop Feed Me Tweet Me Follow Me Home Friday, the great new Weekend Roundup linky for posts you are proud of and of course, lots more great recipes and ideas! To make sure you don't miss a thing, be sure to follow me on Twitter and on Facebook too!